The mysterious death of her mother has left Charlotte Simmons on edge and off–balance for too long. The only way to move forward is to get answers, and those answers can only be found in one place. 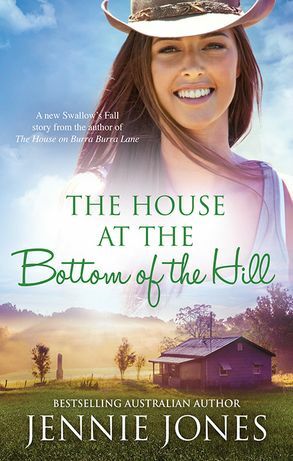 So Charlotte buys a bed & breakfast establishment in Swallow's Fall, a small town in Australia's Snowy Mountains, as a ploy to get close to the man who might have the answers. She'll jazz up the old place, flip it, get her answers, and be gone in two months – max. What she doesn't count on is opposition from the dogmatic and slightly eccentric members of the town council, and the hotshot owner of Kookaburra's Bar & Grill and his 200–squats–a–day physique who offers to act as mediator, but whose eyes promise so much more. Easygoing Daniel Bradford knows progress is slow in Swallow's Fall. He's finally about to put his plans into place to upgrade the hotel when a prim–and–proper citified redhead blows into town, putting everyone on edge. The only way to contain the trouble she's about to cause is to contain her – but he knows trouble when he sees it, and soon it becomes very clear that there's absolutely nothing containable about Charlotte, or the way he feels about her.